Of the two myths that I'm attempting to dispel today, this one annoys me the most. Okay, first of all, grandaddy longlegs ARE NOT spiders. Spiders have two body segments, while grandaddy longlegs only have one body segment. Spiders have eight eyes (most of them), grandaddy longlegs only have two eyes. 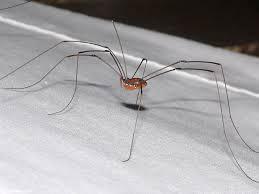 Grandaddy longlegs are actually called "harvesters". They do have small fangs, but they're not venomous, and they mostly eat decaying plants or other dead bugs and animals. They don't have any poison at all. CLICK HERE TO READ THE TRUTH ABOUT GRANDADDY LONGLEGS. This one bothers me alot because I think that Cicadas are really cool. They're totally harmless, they live for years, they're very pretty, and they make that beautiful summertime noise (the male cicadas) that you hear in trees. I've often heard people erroneously refer to a cicada as a locust. Even though I try to explain, they don't really believe me, I guess because that's what their parents taught them (because their parents were taught the same, etc.) 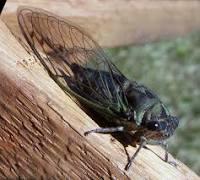 Cicadas have a life span anywhere from 3 to 17 years depending on which species of cicada. 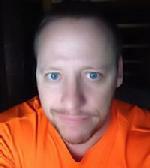 They eat sap from trees. CLICK HERE TO SEE PICTURES AND READ MORE ABOUT CICADAS. 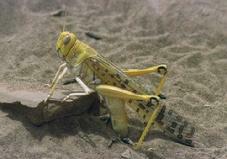 CLICK HERE TO SEE WHAT A LOCUST IS. I know that there's probably more pressing annoying things out there that I could've wrote about, but hey, these ones really "bugged" me, and there's no need too get to doomy gloomy (there's plenty of that with all the wrecks we cover). Have a great Wednesday!